Please feel free to ignore this thread. This space is meant for me to collect all my designs and ramblings. Unfortunately, there's not place for private threads on this forum, or else I'd use it. Hell-Cath, the Gravetender - : She's a maniacal necromancer who is in love with horticulture. Her story is one of tragedy. As a young girl, her mother, father, and twin brother went missing. She roamed her plane, Cireama, trying to find them. Eventually, she arrived at a local park near her home that borders a church graveyard to see her family's corpses, overgrown with brambles / entangled in vines / degrading into the earth. This event caused her to go insane, discovering that she possessed the innate ability of necromancy. She mixed this graphic final image of her family's deaths with her craft - yielding a horde plant zombies. Unlike the stereotype for necromancers, she is very loving and cares deeply for plants, nature, and particularly her own creations. Cyn, the High Judge - : There's not a High Government without some corruption at the top. Cyn serves as a less than neutral High Judge on Cireama. He passes decrees that benefits those in his favor. He imprisons those who he perceives as a threat by planting evidence and handpicking the High Jurors. He is a symbol of oppression and control. His appointment in the High Government outdates that of even the current High Governor and Cyn has a plan to make sure it stays that way. Overall, the blue, white, and blue-white aligned on Cireama value fairness, democracy, and overall well-being - and that's what they think they're getting with Cyn. Mirth, God Timberkind - : He, the leader of the unaffiliated, is the largest giant on Cireama. Giants, though small in number on the plane, are very dumb and large. They follow the assigned God verbatim, never questioning his teachings / laws / etc. In the history of the Timberkinds, the unwritten law states that the largest giant gains the title of God and must give direction to the rest. Prior to Mirth, there was a slightly smaller giant named Firum who held this title. He was a vicious and tyrannical leader of the unaffiliated. He preached public torture, destruction of all things, and death to any giant who might outgrow him. Legend has it that Mirth, who was an average-sized giant at the time, ate a fruit from a undiscovered tree and grew nearly twice his size overnight. As such, Mirth preaches a different message than Firum - love nature. The giants and unaffiliated of Cireama take this message to heart, but all show it differently. Some uproot trees and carry them around in order to protect them. Others run around the countryside causing minor earthquakes and havoc just to breathe in the fresh air. Still creatures of destruction, they believe they are following Mirth's orders... and he does too. Firum still lives on Cireama in search to find the mythical tree that will allow him to reclaim his title, only stopping to destroy a few villages during his quest. Octriv, the Eight-Armed - : Ungendered, Trioctim is a Planeswalker who represents the dark depths of a yet-to-be-discovered plane. They are mostly humanoid, but they have eight arms with suction cups on their palms. Their head is enlarged much like a cephalopod. Little is known about their origin, but they strive for knowledge - excel at manipulating others - and are often secretive / elusive. On Cireama, Octriv manipulates other blue, black, and blue-black aligned creatures and spells to push forth some hidden agenda. It's unclear if they are good or evil. Looking back at these characters, there are some changes that need to be made... Blestre is no longer red white. He is monowhite with a red color identity. He was raised as a barbarian in the ungoverned Wilds. During his formative years, he was enlisted by the Purecrestrian army. After climbing his way to the top, he gained recognition for his strength and tactical skills. Now, he serves as the High General - he helps bridge the gap between the inhabitants of the Wilds and the city of Purecrest, enlisting other hopefuls into the army and preventing rebellions. Likewise, Octriv was envisioned as monoblue. I've also gone back and forth about removing white and giving Cyn a black color identity, but that's not confirmed yet. There are additional characters of interest as well. Last edited by BelangiaJo on Tue Apr 18, 2017 11:10 pm, edited 4 times in total. Welcome to Cireama. 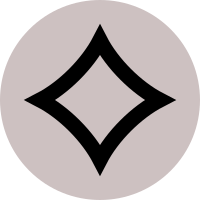 Purecrest is a hierarchical society / city on the plane of Cireama. It's home to a corrupt government, demented church, citizens who blindly follow, and outcasts vehemently resist. There is a large, ungoverned wilderness that covers a majority of the plane. The High Government is on a quest to expand their city's walls, but are often met with opposition both internally and externally. I've made a matrix to show how each color in the color breakdown above contributes to its organization as a whole (mainly as a function of how they interact with the organization for which they're absent - for example, the white philosophy in the High Church is the purify the heathens from the ungoverned Outcasts.) I will add this soon. Last edited by BelangiaJo on Tue Apr 18, 2017 11:09 pm, edited 4 times in total. Last edited by BelangiaJo on Mon Jun 05, 2017 12:30 am, edited 2 times in total. : Conquest - If you control more lands than an opponent, <ability>. Enchanted creature can't attack or block and has "Exile this creature: You gain 2 life." "She saw the light," the reverend whispered with a crooked smile. At the beginning of each opponent's turn, that player loses 1 life and you gain 1 life for each Spirit creature he or she controls. : Target player sacrifices a creature and creates two 1/1 white Spirit creature tokens with flying. At the beginning of combat on your turn, Spirit creatures you control get +2/+0 and lose flying until end of turn. Those who walk the earth, living and dead alike, shall fight eye to eye. Players can't draw more than one card, attack with more than one creature, or cast more than one spell each turn. : Counter target spell that targets Cyn, the High Judge unless its controller pays . When Enforcer of the Peace enters the battlefield, prevent all combat damage that would be dealt to it this turn. Whenever a creature enters the battlefield under another player's control, you may pay . If you do, gain control of it until the end of your next turn. Feral Elk must attack each turn if able. The High Government has tried many years to seize the Blustrean timberlands for Purecrest, but its inhabitants have been relentless. Mirth can't attack or block unless a land card was put into your graveyard this turn. Whenever Mirth deals combat damage to a player, reveal the top X cards of your library, where X is the number of lands you control. You may put any number of land cards revealed this way onto the battlefield tapped and the rest on the bottom of your library in a random order. When Firum enters the battlefield, players may play any number of additional land cards until the beginning of your next upkeep. Whenever a player plays a land, Firum deals 2 damage to him or her unless he or she sacrifices it. Hell-Cath teaches that life begins from the mulch. Whenever a creature you control dies, put two +1/+1 counters on target creature you control. Exile a land card from your graveyard: Create a 2/2 green and black Plant Zombie creature token. Whenever Sickly Experimenter becomes the target of a spell or ability, sacrifice it. : Sapbender gets +1/-1 until end of turn. Whenever Dew Collector deals combat damage to a player or a land, draw a card. , Exile a land card from your graveyard: Return Master of Fungus from your graveyard to the battlefield tapped. Undead Muckmage enters the battlefield tapped. When Undead Muckmage enters the battlefield, return target creature an opponent controls to its owner's hand. , Exile a land card from your graveyard: Return Undead Muckmage from your graveyard to the battlefield. Activate this ability only any time you could cast a sorcery. [+1]: You get an emblem with "Your maximum hand size is increased by 1." [-4]: Gain control of target creature with power less than the number of cards in your hand. [-8]: Draw cards up to your maximum hand size. Each opponent puts X cards from the top of his or her library into his or her graveyard, where X is your maximum hand size. Last edited by BelangiaJo on Fri Aug 31, 2018 6:47 pm, edited 42 times in total. Weren't you supposed to be running a contest for these? Yes, this one. It was lost to the void. Damn, I think we scared him away. Now we'll never get grades. I've been consistent with the Amonkhet contest, guys. Give me a break! No breaks! I want grades on my enchantment! Included some new card designs. Feedback is welcomed. Also, made Rank N the citizen keyword. I have some great ideas for Pledge cards, but they're pending some logistical updates prior to being posted. Added some new compost cards.